Christine is one of the nicest people I have ever met. If for some weird reason someone out there disagrees with me then I automatically don't like you. She is extremely knowledgable about sewing and talented at designing patterns. 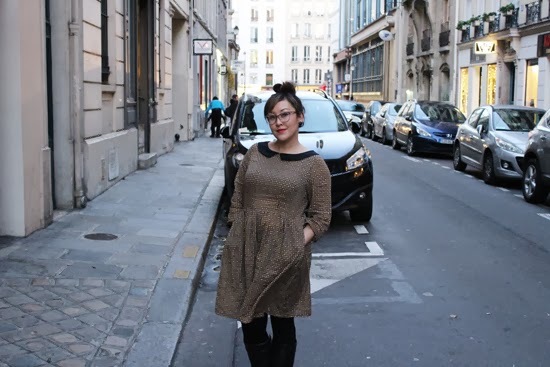 Paris is Christine's home away from home. 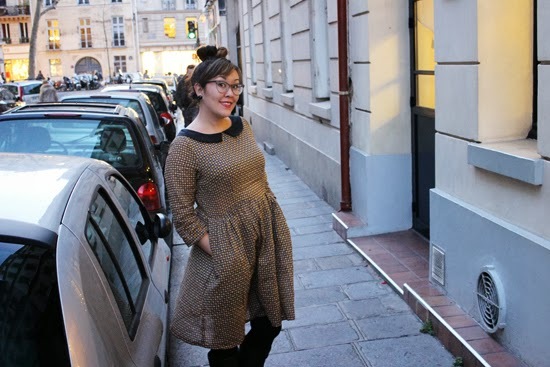 When I made her latest pattern, the Emery dress, it was right before my trip to Paris. I knew that I needed photos of my finished dress in Christine's favorite place on earth. This dress is seriously comfortable and transitions nicely from day to evening! I wore it running through the train station in London, for two hours on the train to Paris, out to a dinner under the Eiffel Tower, and on an evening boat ride along the Seine River. And, as you can tell from the first few pictures, POCKETS! Let's talk about the sewing of the dress. Last year I sewed a dress with waist darts and bust darts. For the life of me I could not rotate them to the correct position or get the bodice to fit and I probably said a million curse words. You can imagine how pleased I was by the fact that these bust darts were perfect and needed no adjustments, yes! I don't think I even yelled or said a bad word once! The only alterations needed were a narrow shoulder adjustment of 5/8 in and shortening the bodice by the same amount. These seem to be standard changes for me, as I have had to make them on a few garments I have sewn. 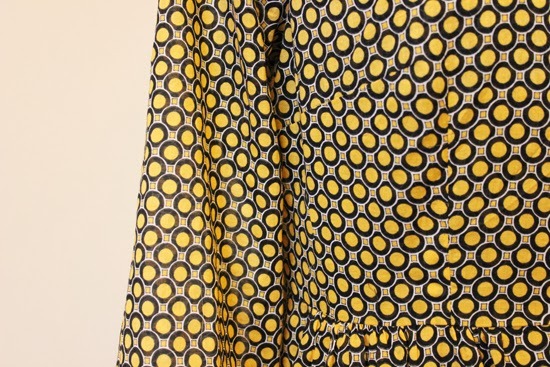 This fun yellow and black fabric is from the Los Angeles Mood store. It's a little sheer around the skirt part (no issues with the bodice, as it is lined), so I will need to wear a slip or leggings which I am fine with. 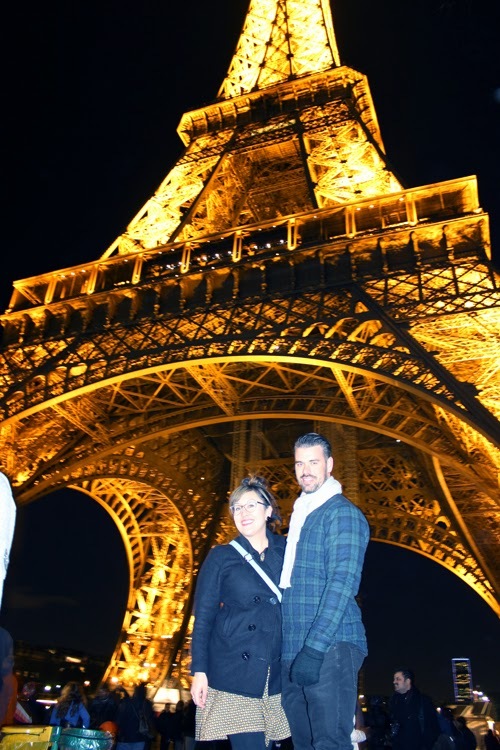 In Paris I wore fleece lined leggings and was perfectly warm. Believe the hype about the Emery pattern. There's a reason that everyone is sewing it and making multiple versions. The design is great (Tasha's fit perfectly without adjustments! ), everyone loves how the pockets are attached, and the directions are crystal clear. It's marked "intermediate," but I think that a beginner could sew it easily, especially if they are referencing the sew-along. Emery has seriously thrown a wrench in my sewing plans. I can't stop thinking about all the versions I want to make and View A is probably going to be taking cut-sies and jumping up on my sewing queue, so I can get another version on my body ASAP. 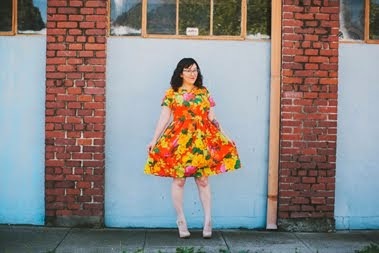 Thanks for designing my new favorite dress pattern, Christine! Ooh lovely! 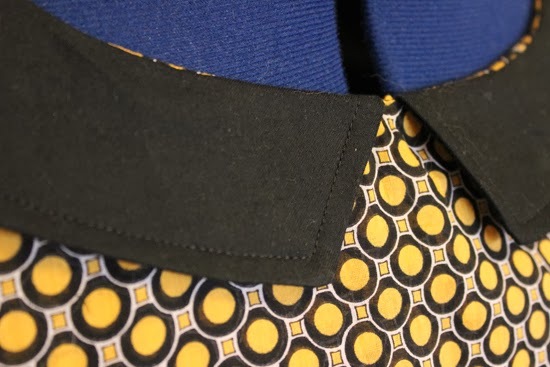 Really nice fabric and contrast collar. Looks like a pattern I could do with adding to my to-buy list! lovely. i have an emery planned for the near future. hope it fits me as well as everyone else! 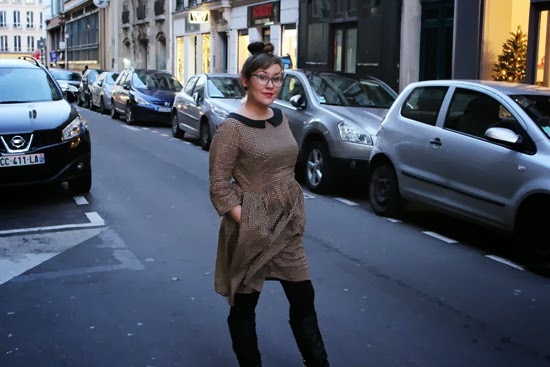 Nothing is better than wearing a beautiful dress in Paris! Lovely work. The fit is great and the fabric and collar are very chic together. Gah, I love this Erin...it's so perfect! I cannot wait to make my very own Emery, first I need to treat myself to the pattern! I'm so jealous you got to wear it in Paris!! Love the fabric you chose. The pics are sweet!! It is such a great pattern, I am itching to make another one.. Christine is an amazing lady! Great job photographing it in Paris!! What a perfect place to showcase your Emery! :) It's looks great, love the fabric. Between your version and Tasha's I'm kinda thinking I should add this dress to my list soon. Too cute! Aww man! I've been avoiding buying this pattern as I feel like I have several patterns that are very similar... but I keep seeing the most beautiful versions!! Great version, and how wonderful that you got to shoot it in Paris!! That print is so fun. Oh, I definitely believe the hype about the Emery pattern. You look tres chic in it! 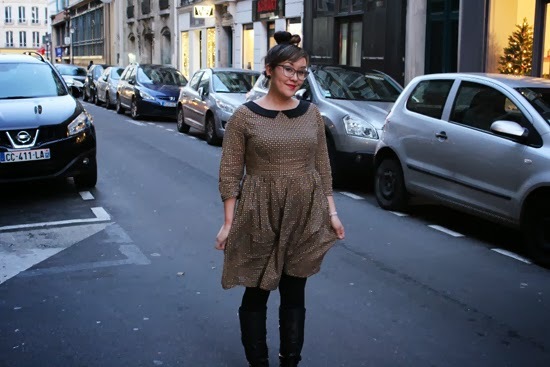 Yay, I love seeing your dress in action in Paris, how wonderful!! The dress really looks great on you, and super cute how you've styled it with black leggings and boots, it really makes the collar pop (if something below your knees can make a collar pop, lol). Beautiful dress and beautiful pics! Great dress pattern, it looks lovely on you. Looks like you had a wonderful holiday in Paris! Very nice and helprul for us. Thank you so much.